The Foundation was organized on April 1, 2016 exclusively for charitable purposes as an Illinois not-for-profit corporation (Section 103.05). The purpose of the Foundation is to preserve and protect old and historic buildings in and around Olympia Fields, Illinois in order to perpetuate the architectural, historic, and general cultural heritage of the Olympia Fields area. 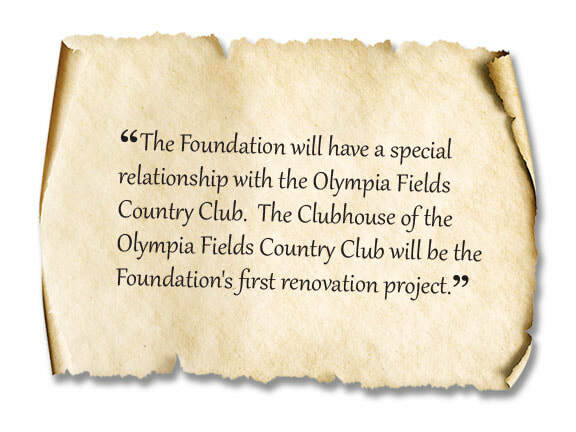 The Foundation’s purpose, functions and activities as a public charity will serve the general public by restoring and preserving the historical properties of Olympia Fields, Illinois to be enjoyed, viewed, and studied by future generations. The Foundation provides no profit to any person connected with it and all of the Foundation’s funds must be used for its charitable purposes. The Foundation obtained Section 501(c)(3) status by letter of March 28, 2017. 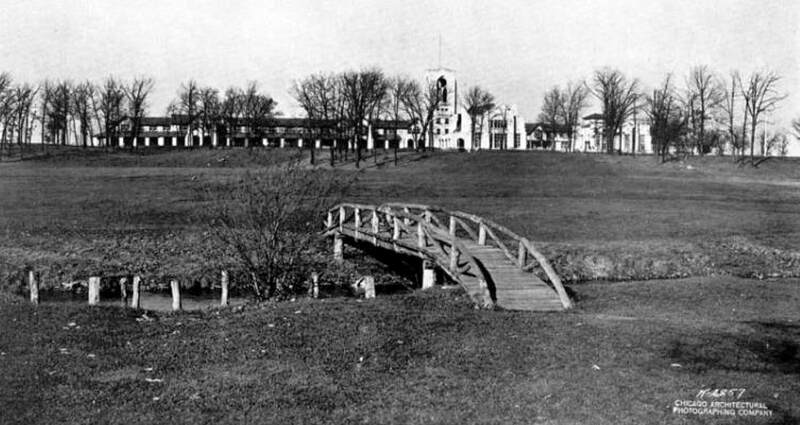 The Foundation was formed by a group of civic-minded individuals, including individuals who are residents of the Olympia Fields community and members of Olympia Fields Country Club (OFCC), who recognize the importance of architecturally significant structures and who are motivated to preserve such structures as important historic features of the Olympia Fields area. The officers and directors of the Foundation are not compensated for performance of their corporate responsibilities and the Foundation does not currently have any employees. The Foundation has recently engaged local professionals including a consulting architect to evaluate projects and marketing experts to assist in developing promotional and educational material. 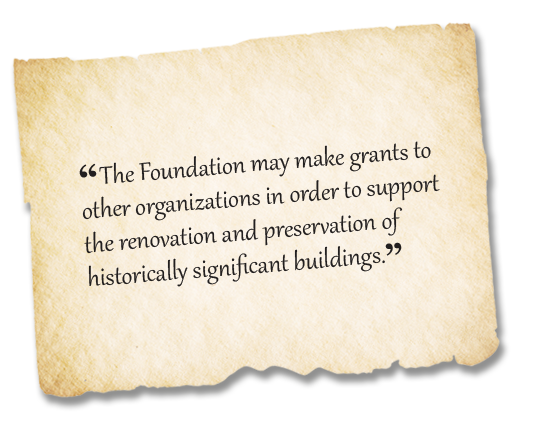 In furtherance of its purpose, owners of eligible historic properties may apply to the Foundation for grants covering the costs associated with the restoration, preservation and repair of portions of its properties deemed historically and or architecturally significant. Projects will be completed by the grantee and the Foundation will monitor compliance with an approved grant. Alternatively, the Foundation may identify qualifying projects and partner with owners by acquiring necessary materials and engaging local consultants and contractors or other third parties to complete the work The Foundation will consider all grant requests for projects that support its charitable and educational purposes consistent with the Foundation’s section 501 (c) (3) status under the Internal Revenue Code. The OFCC Clubhouse appears on the National Register of Historic Places and will be the Foundation’s initial recipient of Foundation support. OFCC and the Foundation have identified projects for restoring/preserving/repairing features of its landmark Clubhouse including restoration of the towering leaded windows in the iconic Normandy Room and other structural components. It is anticipated that the Foundation will receive gifts, grants and contributions from a variety of sources, including individuals, foundations, businesses and governmental units. The Foundation’s initial donation outreach request is to members of OFCC utilizing informative brochures, meetings and its website, ofccfoundation.org. It will expand its out reach to the general public through future print and electronic solicitation including promoting its educational focused website and through informative brochures and direct appeals. In furtherance of its educational purpose, the general public will be invited to view on a regularly scheduled basis and at no charge all internal and exterior renovations funded by the Foundation. The Foundation anticipates it will conduct no more than two major social fundraising activities to further support its operations and tax exempt status. Activities currently planned include an annual charitable golf event and sales of food/beverages. These activities will be conducted by members of its governing body, OFCC staff and volunteers. All proceeds will benefit the Foundation.